Bangkok – The Bank of Thailand (BOT) has urged commercial banks to lift their game in the battle against computer hacking, in the wake of recent cyberattacks on two financial institutions. Following last week’s data breaches and the hacking of several banking apps, BoT Governor Veerathai Santiprabhob said this week that he recently met with bank executives to warn them about the existing threats and went over the cybercrime prevention policy and compensation for cyberattack victims. Veerathai said cyberattacks and computer hacking have been around for quite some time and are taking place throughout the world and in every industry, not just banking, hence the need to have top-notch security systems and a swift response ready against all forms of cybercrime. 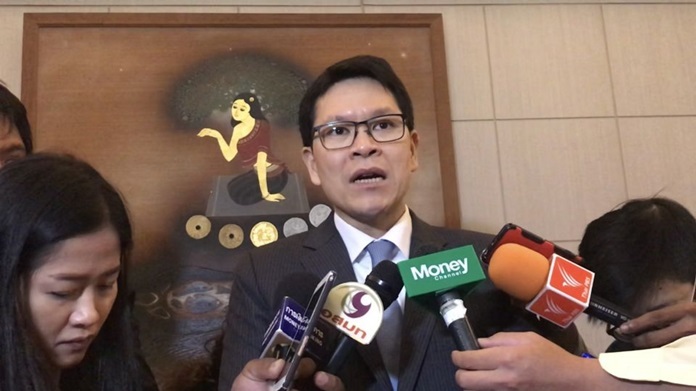 He went on to say that technology has become an important part of the Thai financial sector, evidenced by the adoption of the Prompt-Pay system and a number of online banking applications. Because online banking is the easiest and most convenient way to conduct a financial transaction, it has become more and more popular among the Thai public. For this reason, he said financial institutions must step up their game to protect their customers from cyber threats.